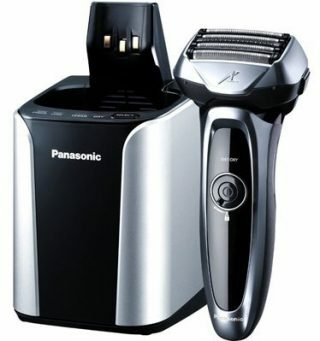 Panasonic Arc 5 represents the top notch among the range of shavers of the Japanese producer. 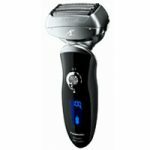 The latest technologies which are incorporated in the devices of this range, manage to place them in line with the most advanced shavers in the whole world. 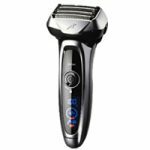 Destined to those who seek absolute performance, Panasonic Arc 5 electric shavers manage to please even the most pretentious users, with sensitive skin and complex needs in terms of shaving. 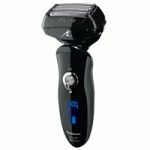 Panasonic electric shavers are available on Amazon. 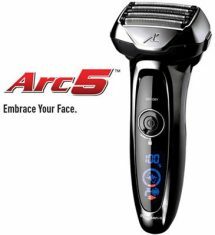 Arc 5 shaving system offers its consumers the best results in terms of smooth and comfortable shaving, thanks to the five extra-thin (with nano technology) blades, which cut closer to the skin than any other devices produced by Panasonic. Due to the way that the blades are orientated (30 degrees), the hairs are shaved from the root in a more effective way than ever, leaving behind a smoother skin, for a longer period of time. 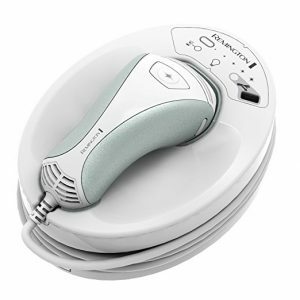 The Active Shaving sensor, that the devices from this range feature, offer the user optimum results of the shaving process, because the devices are capable of discriminating areas with thicker and rougher hair from those with fewer and softer hair. Therefore, the engine accelerates when the blades come across a thick beard and slows down when the facial hair doesn’t make much resistance. This automatic adjustment reduces the burden beared by the skin of the user and gives the best results. The Multi-Flex pivoting head and the Multi-Fit foils make sure that not a single hair on your face will remain intact, offering the device the possibility of making perfect contact with the line of your face, regardless of the area it is going through. This way, shaving your maxillary, your chin or your neck (areas which are usually sensitive) becomes more pleasant and more efficient. 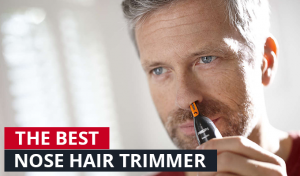 Let’s not forget the incorporated trimmer which offers to the eager users the possibility of beautifying their moustache and their sideburns up to the smallest detail. Panasonic Arc 5 devices also feature the flexible Micro-Foil system, composed of three micro foils, particularly created to cut each and every single hair, no matter its type or its direction of growth. This way, you can rest assured that the reclined, sticked to the skin hairs will never escape from the razor blade again and the same thing applies to the hairs that grow in different directions. The linear engine which the devices of this range are equipped with is silent, strong and extremely performant. It functions at a maximum of 14.000 rotations per minute and it keeps the same performance even when the battery is about to finish. Even if you prefer wet or dry shaving, with the shaving devices from the Panasonic Arc 5 range you will have total freedom. You can choose only one way or you can try both in order to decide which one is your favourite. The cleansing and preservation of the devices is easy and quick, same as all the other Panasonic shavers. Being completely washable, they can be washed very efficiently under the tap jet. More than this, the auto-cleaning and auto-charging station which we have also met in other Panasonic ranges is not absent from the endowment of the Arc 5 devices either. This will make sure that your device will get the best care without you having to lift a finger, for an exceptional durability and performance. The Li-Ion battery is strong and offers 45 minutes of wireless functioning after a complete charge of one hour. Also, the devices dispose of a fast-charge function, which enables the user to charge the device for 5 minutes in order to be able to use it for a complete shaving. The level of the battery and other information are displayed on the LED or LCD indicator (depending on the model) in 5 steps. 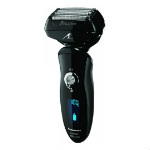 This range of shavers contains four models : ES-LV61-K803, ES-LV65-S803, ES-LV81-K803 and ES-LV95-S803. All the shavers incorporate most of the technologies mentioned above, but there are also slight differences between them, taking into accout the endowments and the technical abilities. Therefore, the first difference spotted regards the auto-cleaning and auto-charging station, who is missing from the first two models of the range. Another difference can be observed regarding the displaying, which is made on a LED indicator for models ES-LV65-S803 and ES-LV95-S803, while models ES-LV61-K803 and ES-LV81-K803 dispose of a display with an LCD indicator. Besides these two differences, the devices from this range gather all the features mentioned above. 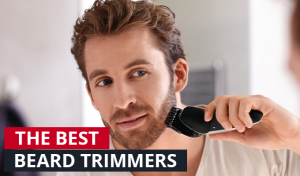 The main advantage of these devices, mentioned by most of the Panasonic consumers, is the fact that they offer an extremely smooth shave, cutting the hairs very close to the skin and leaving behind a fresh and revived skin. The silent engine (even if it is a little noisier than those belonging to the Braun competitor), the high quality of shaving, the fact that it protects the skin and the upgraded auto-cleaning station are among the advantages mentioned by consumers. Among the disadvantages that we managed to find in the comments of consumers we can count the weight of the devices, the reason why these are not perceived by everyone as being easily maneuverable. The high price (this is among the most expensive ranges of shavers in the world) is frowned upon by some consumers, but the ones who have declared that they regret the financial investment once it has been made are few. Are the Panasonic Arc 5 Shavers Suitable for You? There aren’t many negative things we can say about this range, which undoubtedly has some of the best electric shavers in the world. That’s why we are convinced that regardless to your needs in terms of shaving, the Panasonic Arc 5 devices will meet your expectations. 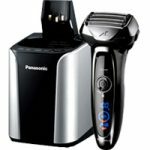 Panasonic ES-LV95-S803 is the most performant electric shaver you could purchase and if we were to choose one of the other models, that would be Panasonic ES-LV81-K803, due to the fact that it disposes of an auto-cleaning station and it is situated in the middle of the range regarding prices of acquisition. We would be very pleased to hear your opinion about the Panasonic Arc 5 devices in the comment section below, if you had the chance to use them until now.